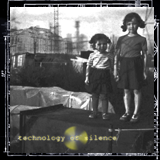 Technology of Silence is a Russian ambient / industrial / experimental project, existing since 2004. Founder of this project is Denis Romanov (born May 7, 1983), who unites the incompatible opposites silence and music and makes it a whole, while taking a focus on the world that surrounds us and the events that take place in it, watching it from different points of view. The music of TOS is atmospheric, cinematic, melancholic and creates a certain mood. It is a fusion of ambient, industrial, IDM, minimal techno, although the band isn’t concentrating on a particular style. Environmental problems and man-made disasters are the basic themes, which draw a red line through the back-catalogue of Technology of Silence. The centre of attention in the stories of the band is a post-apocalyptic city, described as ruins of a high-tech-civilization, corrupted by mankind, and a place full of human recollections, emotions and feelings. The main context of the stories is the idea of survival in a lonely and hostile world and finding himself in life. The project was conceived in 2004. At this time the first and second albums were created almost simultaneously. After a few years albums have been seriously reworked and some tracks have been replaced. And in 2007, both albums were released with a two months' difference. The first album "Technology of Silence" was released in 5 March 2007 by the netlabel Kaos ex Machina (Poland) in MP3 format, and in 16 April 2007 by Heart Shaped Box prod. (Russia) on CD. TOS never directly indicated the Chernobyl accident in music. But the first album cover art has contained a video picture frame with the destroyed fourth unit of the Chernobyl Nuclear Power Plant, filmed in the day of the disaster. Also many tracks on the album used radiation as a theme that played to the fears and fantasies of the audience. So TOS's music became associated with this event. The idea of the album is based on radiation contamination and its consequences. The second album "Out From The Silence" was released on 23 June 2007 by Kaos ex Machina (Poland) and in 27 June 2007 by the netlabel Enough Records (Portugal) in MP3. Unlike the first album, this one is more experimental. The album is about scientific experiments, their consequences and aspects of Artificial Intelligence. In 2008, Denis Romanov specially visited a ghost town of Pripyat, to be inspired to write the next album. This album reflects impressions of journey and the spirit of a "dead city". The third album "Call of City" was released in 2 August 2008 by the netlabel Kaos ex Machina (Poland) in MP3. Album cover art contained the photo of fire evacuation plan, made by Denis in one of abandoned houses of Pripyat. "Call of City" continues the story of post-nuclear city, begun in the previous albums. But this album is more melancholic, calm and retro-oriented than any previous one. Many tracks of the album are old-styled using crackles that may be present on recording made from old worn out vinyl records. The concept of the album is based on human memories and aesthetics of abandoned places. The fourth album is called "The Squad" and was released in 23 December 2010 by Enough Records (Portugal) and in 15 February 2011 by the netlabel Ionium Records (Germany) in MP3. Music returns to technoid sounds like the first two albums, but now with a mild touch of the Soviet Era and military-oriented style. All albums released under a Creative Commons License.